A proper hair cleansing is a very important ritual for both women and men. 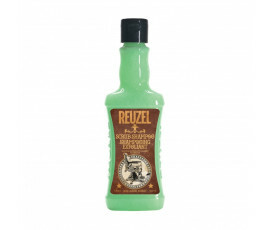 For this reason, Reuzel provides specific products for hair and scalp cleansing, enriched with Nettle Leaf and Rosemary and refreshing formulas. Rezuel Hair Products for well-groomed, revitalized and soft hair. Reuzel Hair Products are perfect for all hair types. Rezuel Hair Products satisfy every gentleman's needs with its unique products, such as the purifying scrub that deeply cleanses the scalp removing all the styling residues and pollutants and the tonic to be used before blow-drying.